More and more companies are confirming that President Trump’s trade war is slowing down the global economy. On Wednesday, Apple (AAPL) shocked markets when it said revenue in its holiday quarter would miss expectations. This news sent Apple shares down as much as 7% after hours and confirmed the market’s biggest fear about the global economy — that trade is slowing down businesses around the globe. “While we anticipated some challenges in key emerging markets, we did not foresee the magnitude of the economic deceleration, particularly in Greater China,” Apple CEO Tim Cook said in a letter to investors published after the market close on Wednesday. Apple now expects revenue will total $84 billion in its fiscal first quarter, below its initial guidance for revenue of $89-$93 billion the company gave Wall Street back in November. Cook added to the gloomy view of China’s economy on Wednesday, adding, “China’s economy began to slow in the second half of 2018. The government-reported GDP growth during the September quarter was the second lowest in the last 25 years. We believe the economic environment in China has been further impacted by rising trade tensions with the United States. Slowing earnings growth, higher interest rates from the Federal Reserve, and slowing economic growth in the U.S. and around the world have all been cited as contributing to a fourth-quarter stock market decline that was the worst since the financial crisis. But recent business surveys and commentary from corporate America has started to outline an economic environment which makes clear that trade tensions and President Donald Trump’s ongoing trade fight with China are at the root of the most acute stresses in the global economy. In late December, FedEx (FDX) executives told investors that its international business had “weakened significantly since we last talked with you during our earnings call in September.” The company added that, “China's economy has weakened due in part to trade disputes.” FedEx cut its outlook for 2019 as a result. 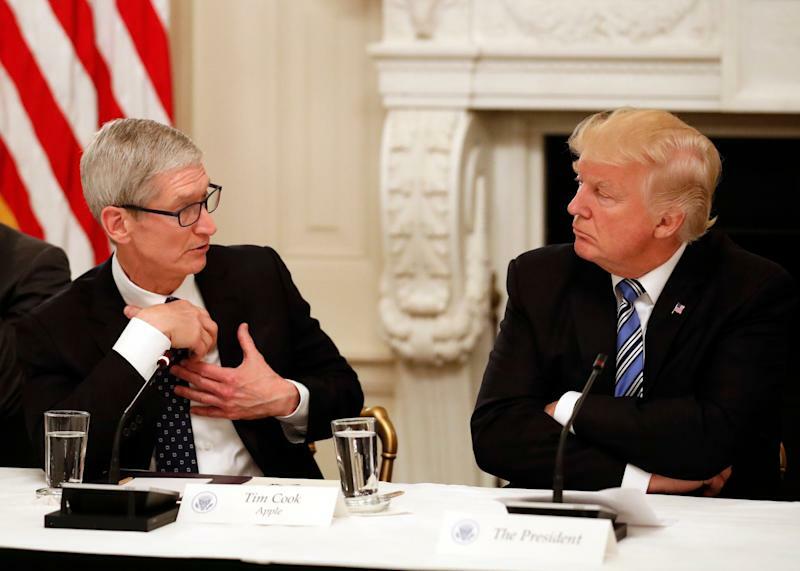 And while Apple’s poor holiday quarter had been telegraphed by its suppliers which consistently cut forecasts over the final months of 2018, the company’s long-winded and very public denunciation of the economic situation in China and around the world is a wakeup call to any investors that still think trade wars are actually good and easy to win. Manufacturing data out of China released Wednesday showed a contraction in activity to end 2018 as new orders hit their lowest levels since June 2016. JP Morgan’s global manufacturing PMI hit its lowest level since September 2016 in December, and business confidence in the survey hit the lowest in the series’ history. Survey data about business conditions can sometimes be a fickle source of commentary about the economy. The world’s biggest public company, however, is going to be more measured and deliberate when discussing the pressure its business is under. “We can’t change macroeconomic conditions, but we are undertaking and accelerating other initiatives to improve our results,” Cook said Wednesday. With billions of dollar of cash on its balance sheet and tens of millions of iPhones still being sold each quarter, Apple has a large menu of options it can deploy to engineer strong results for investors in the quarters ahead. And with shares of the company already down almost 40% from their all-time hit earlier this year, the market has priced a fair amount of disappointment into the company’s stock. But what Apple is telling investors about the global economy cannot be ignored. And it will confirm for many investors that we remain on the path to what they have come to fear most — a trade-induced recession.